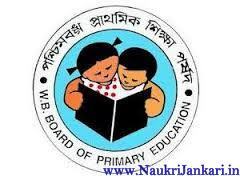 West Bengal Board of Primary Education (WBBPE) has released the detailed syllabus and exam pattern of Primary TET 2015 examination. The TET exam is going to be held on 30th August, 2015 across the state. Read out further to get more about WB Primary TET 2015 Syllabus. What is the minimum qualification marks in Primary TET exam? The minimum qualifying marks are 60% i.e. 90. For SC/ ST/ OBC/ PH/ EC candidates it is 55%. All questions will be multiple choice question (MCQ). Is the any negative marks in TET exam? No. There will be no negative marks. Still have query? Feel free to ask us here. 1 comments for " WB Primary TET 2015 Exam Pattern & Syllabus "
primary tet 1:30 hrs samaye deo hochey kintu CTET ,NCTE niyoam anojaye 2:30hrs somaye achey sei someya ta 30 August primary TET amra pabo?????????? ?